Below you fill find all funeral homes and cemeteries in or near Montgomery. Montgomery is also known as: Montgomery County / Montgomery city. Zip codes in the city: 77316, 77356. Some of the notable people born here have been: Quinton Spears (american football player). Montgomery is a city located in Montgomery County, Texas, a part of the Houston–The Woodlands–Sugar Land metropolitan area. As of the 2010 census, the city had a total population of 621. It is the birthplace of the Lone Star Flag of Texas. It was disclosed on December 8th, 2017 that William Wray "Bil" Love passed on in Montgomery, Texas. Love was 81 years old and was born in Wichita, KS. Send flowers to share your condolences and honor William Wray "Bil"'s life. It was revealed by Texarkana Gazette on May 14th, 2017 that Willie Mae Woolard passed away in Montgomery, Texas. Woolard was 89 years old and was born in Camden, AR. Send flowers to express your sympathy and honor Willie Mae's life. It was disclosed by Peoria Journal Star on March 30th, 2016 that Del Lammers died in Montgomery, Texas. Send flowers to share your condolences and honor Del's life. It was written on September 13th, 2015 that Bradley Jay "Brad" Anderson perished in Montgomery, Texas. Anderson was 91 years old and was born in Jamestown, NY. Send flowers to express your sorrow and honor Bradley Jay "Brad"'s life. It was reported on December 31st, 2014 that Sue Johnson-Patterson (Johnson) passed on in Montgomery, Texas. Ms. Johnson-Patterson was 81 years old. Send flowers to express your sorrow and honor Sue's life. It was written by The Lufkin Daily News on December 3rd, 2014 that Fannie Myrl miss Knight died in Montgomery, Texas. Knight was 92 years old. Send flowers to express your sorrow and honor Fannie Myrl miss's life. It was disclosed on September 13th, 2014 that Dorothy A Thomas (Wiseman) passed on in Montgomery, Texas. Ms. Thomas was 90 years old and was born in Kearney, NE. Send flowers to share your condolences and honor Dorothy A's life. It was reported on September 11th, 2014 that Dorothy A Thomas passed on in Montgomery, Texas. Thomas was 90 years old. Send flowers to express your sorrow and honor Dorothy A's life. It was revealed on February 10th, 2014 that Dan Brock Grubb passed on in Montgomery, Texas. Send flowers to express your sympathy and honor Dan Brock's life. It was noted on October 29th, 2013 that Wayne Bergstrom died in Montgomery, Texas. Bergstrom was 81 years old and was born in Des Moines, IA. Send flowers to express your sorrow and honor Wayne's life. 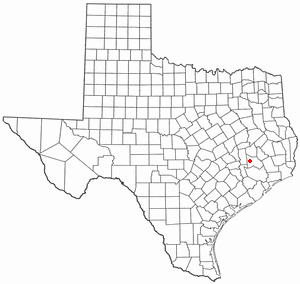 Montgomery is a city located in Montgomery County, Texas. 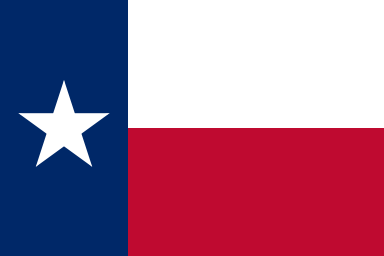 It is considered by many to be the birthplace of the Lone Star Flag of Texas. The town of Montgomery was founded in the middle of the Lake Creek Settlement by W. Montgomery became the first county seat of Montgomery County on March 1, 1838. W.
Described at her funeral service as "an elegant Southern woman" and by ... She also served on the Heritage Museum of Montgomery County's board of directors and took part in the ladies' Bible class at Grace Lutheran Church in Conroe, where she worshipped. Find a Funeral Home inMontgomery, Texas TX to provide the caring burial and ceremonial services your family deserves. Listing all funeral homes in Montgomery, Alabama so you can easily send flowers to any location (same day delivery) or find any funeral service. We work with local florists and flower shops to offer same day delivery. You will find budget sympathy flowers in Montgomery here. Our funeral flowers are cheap in price but not in value.